Using the newest Bluetooth Smart technology, the Disto E7500i quickly and easily transmits measured distances and angles to apps running on Bluetooth Smart Ready devices. The free Leica DISTO™ Sketch app allows these dimensions to be added directly onto sketches and photographs, or stored in spreadsheets. These files can then be sent via email using your Bluetooth SmartReady device. Newer iPhone and iPad devices are compatible, and the Android operating system is expected to include Bluetooth SmartReady support in the next release. 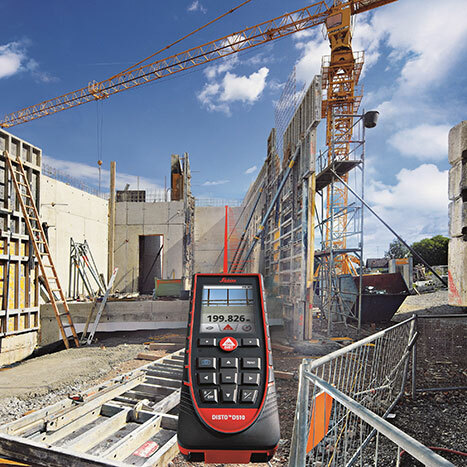 The Leica DISTO™ E7500i takes measurements with perfect accuracy, even in poor lighting conditions. This is a decisive advantage when working outside in sunny weather. 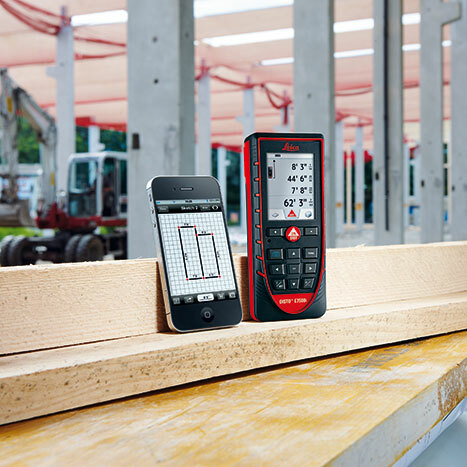 Making complex measuring functions simple is the purpose of the Leica DISTO™ E7500i. Your favorite functions can be assigned to selection keys, for quick access with a single button press. And the integrated help feature shows how to use each of the functions built into this amazing laser distance meter. This allows the Disto E7500i laser distance meter to be used in all weather conditions. Leica Geosystems designs instruments to perform not only under perfect laboratory conditions, but also under the kind of everyday working conditions encountered by our customers. This is why, working together with other experts in the field, the company has worked to develop ISO16331, a standard by which laser distance meters can be tested and compared with each other. The Disto E7500i has been tested in accordance with this standard.